got favorite romanian rhapsodies recordings? i've also found variant spellings - enesco, enescu, enescou. the romanian performance has some flair and heavy trumpet tongueing..i feel it's the local flavor enescu enjoyed. I completely agree - Conta's Romanian Rhapsodies on Marco Polo are just the best. mine is on stradivari classics. Hm, what are the timings? On Marco Polo, with the Romanian Radio and Television Orchestra, the First Rhapsody takes 12:22 and the Second 11:48. Yep! Must be the same. The Rhapsodies are nice, but Enescu made much better works for orchestra. The 3 Symphonies and, above all, the Chamber Symphony. i've not heard the symphonies. Just what I was going to say! The (quite early) RRs are pretty standard fare, but the symphonies (2 and 3 mostly) and the orchestral suites (no 3 above all!) are really extraordinary and very individual. The very best that late Romanticism has to offer, sophisticated, ultra-complex and detailed, otherworldly orchestration pre-empting the shifting, detailed textures of much later composers by decades. The Chamber Symphony is an incredibly compressed, high quality work, very late, but I think one would need to know the earlier symphonies first. Among the other very fine, mature orchestral piece is also Vox Maris, another wondrous work. Must agree that the symphonies and Oedipe (in Foster's recording) are Enescu's best works. 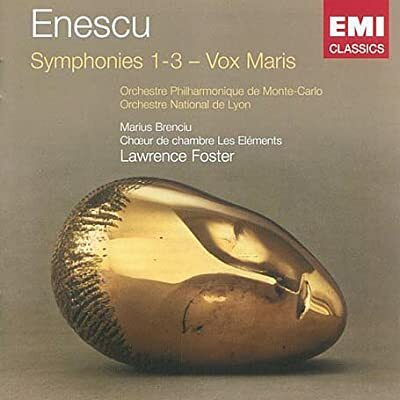 The Arte Nova discs are very good for the orchestral music, but as if by some miraculous timing for this thread, Lawrence Foster's reissued set of the symphonies and Vox Maris is being released in the US on March 4th. I shall be getting a copy as soon as possible. 4) wonderful music that you miss elsewhere - things like the Third Orchestral Suite are every bit as fine as the symphonies. In fact, with its extraordinary orchestral colour, wild and memorable invention, and generally potent magic, this piece might well be my favourite Enescu orchestral work. Must agree that the symphonies and Oedipe (in Foster's recording) are Enescu's best works. I'm partial to the chamber works. The first string quartet alone has to be the most fiercely difficulty piece in the history of the repertory. The Voces recording is my favored. Personally though, i think the best introduction to Enescu is the recording of the String Octet + Piano Quintet issued by Gidon Kremer, and after that, the third Violin Sonata performed by the man himself. George Enescu (1881-1955) - Violin & Piano Works, Vol. 1 w/ Remus Azoitei & Eduard Stan (both Romanian) on Hanssler - thought that I'd 'rejuvenate' this Enescu thread (rather than just post in the 'listening' one) - this is only my fourth or so CD of this composer's works (own one w/ Symphony No. 3 - Todd's post is of interest to me, Rhapsodies, and chamber works, including the Octet & Quintet) - now listening to the disc shown below, apparently a Vol. 2 should be released shortly in the USA. The opening paragraph in the liner notes on this composer is amazing to read, e.g. 'Pablo Casals considered him the greatest musical phenomenon since Mozart', 'admitted to the Viennese Conservatory at the age of 7', 'offered the position as Toscanini's successor in New York', 'one of the most prominent violinists of his time & a highly esteemed pianist whose technique Alfred Cortot envied', 'an artist', and 'greatly admired by his pupil, Yehudi Menuhin' - I've read this stuff before, but never ceases to impress me! So, any thoughts & recommendations - thanks all! 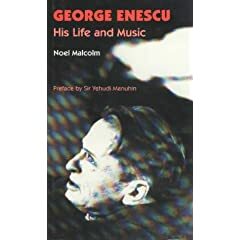 I actually own a small biography of Enescu written by a certain Noel Malcolm, an admirer of the composer. Fascinating read. A lot of composers have a reputation for having prodigious and precocious talents but Enescu is the real deal. To get a glimpse of his mnemonic abilities alone, consider that he had every single of Bach's cantatas memorized and could perform them on the spot when asked. Fancy that. I actually own a small biography of Enescu written by a certain Noel Malcolm..........To get a glimpse of his mnemonic abilities alone, consider that he had every single of Bach's cantatas memorized and could perform them on the spot when asked. Fancy that. In his book about Enescu, Alain Cophignon describes another example of Enescu's incredible memory. Travelling with Bartok, by train (they were going to play one of Bartok's violin Sonatas in Wien) Enescu, that didn't know the work, studied it during that night on the train, and played it the next day with no problems. Bartok, himself, was astonished because he couldn't play his own work (the piano part) without the score in front of him. According to a booklet in one of my Enescu discs (Aie; piano sonatas 1&3), something similar happened with Ravels violin sonata. Enescu received the manuscript from the composer, read through it a few times and played the violin part from memory. I am in severe buying mood, and today I'm going to get some Maiskovsky and Enescu's Symphonies 1-6. 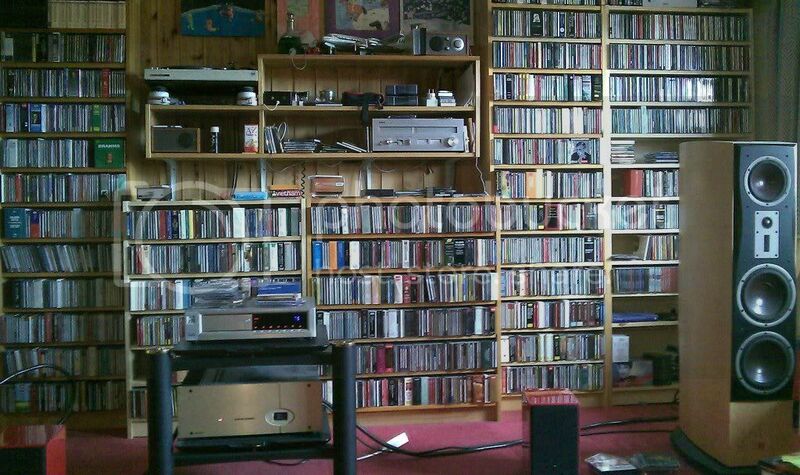 I have only heard Enescu on Radio Three (UK) and that was a while back, Symphony 1 I think, and I liked what I heard. This post has been an interesting reminder and a good prompt for me. I am in severe buying mood, and today I'm going to get some Maiskovsky and Enescu's Symphonies 1-6. Do let us know how symphonies 4-6 sound. I will indeed Todd , and I will also learn how to spell Miaskovsky properly .